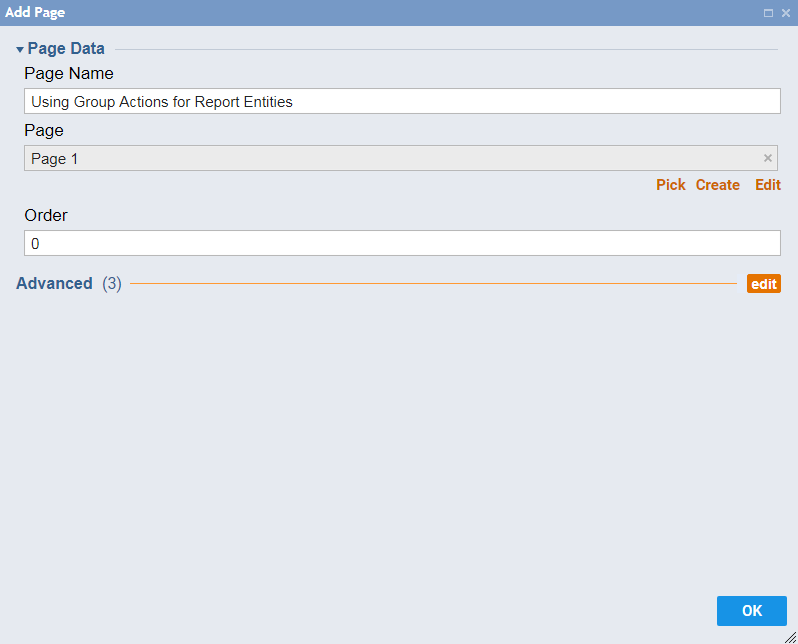 You can perform group actions for entities in a report. To select multiple entities in a report, first click the Multiple Selection	button in the top right of your page. Then right-click the entities and click Manage	to see the list of actions you can perform on the group. 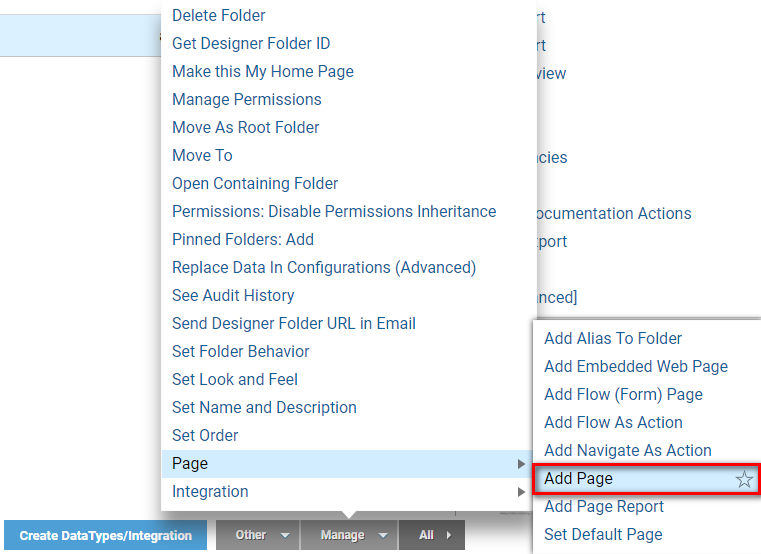 Create a portal page and add a report viewer to display a report in the current folder. View the page and use the Multiple Selection	button to select multiple entities. View the options available for the selected entities. To begin, select a Designer Folder	and click the button Manage>Page>Add Page. In the resulting pop-up window, name the page and click OK	. The page is now complete. Save the page and close the Page Designer . To view the report, select the page’s thumbnail, click its Action	menu, and select View > Preview Page	. The page opens with the Document Report	displaying in the Report Viewer	. Select the Multiple Selection	button in the upper right. A column of checkboxes is added to the report. When you click multiple checkboxes to select entities, a Group Actions	menu appears listing shared actions available to the selected group.